Using the Force control node, you can apply a force either in tool or base, and tick the enable control for the desired axis. 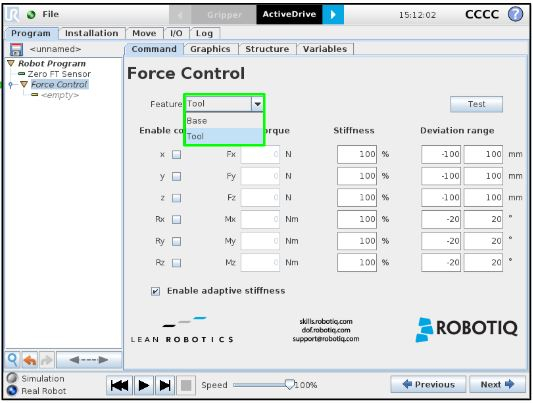 You can then enable the adaptive stiffness or choose your own. The stiffness act as a compensation gain for the force control node. The lower the stiffness, the faster is the compensation. Hold the test button to check the behavior. You could then use a wait command inside the force control node with specific conditions to exit the force control node.